After exploring the province of Abra, we're off to our next destination - The Church of La Nuesta Señora de la Asuncion in Santa Maria, Ilocos Sur. 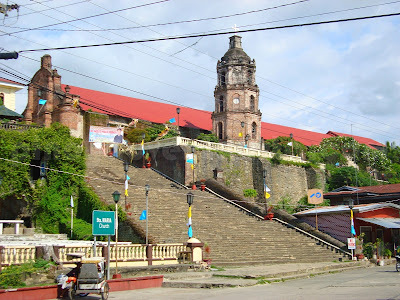 From Bangued, we took an ordinary bus bound for Baguio City and told the bus attendant to drop us at the church. It took us about 45 minutes to reach the church. 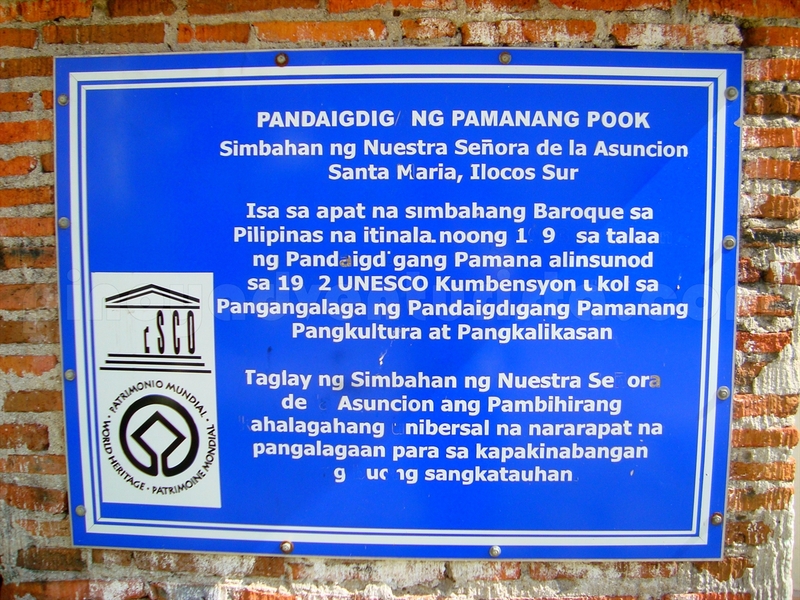 I included this in our itinerary for it is the only one of the four UNESCO-inscribed churches I haven't visited yet. 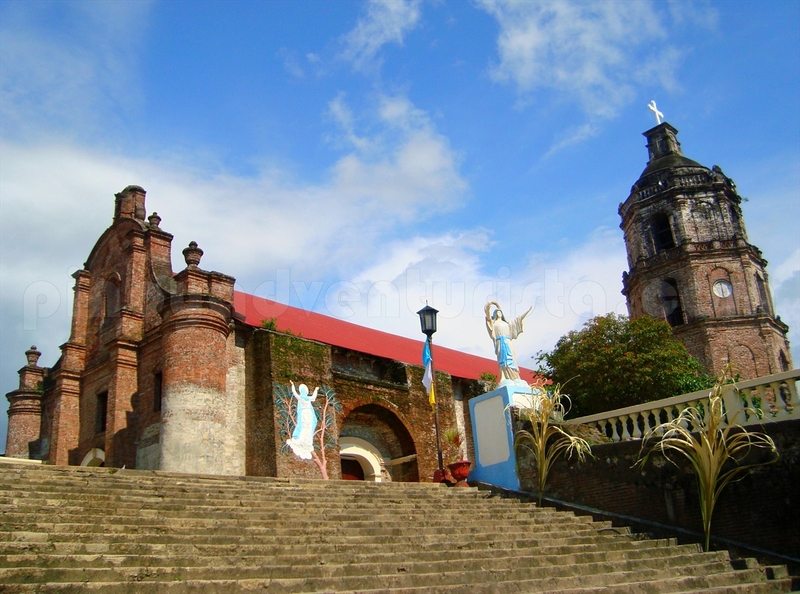 Perched on a hill, this grand church is one of the four baroque churches in the Philippines inscribed in the UNESCO World Heritage List in 1993. 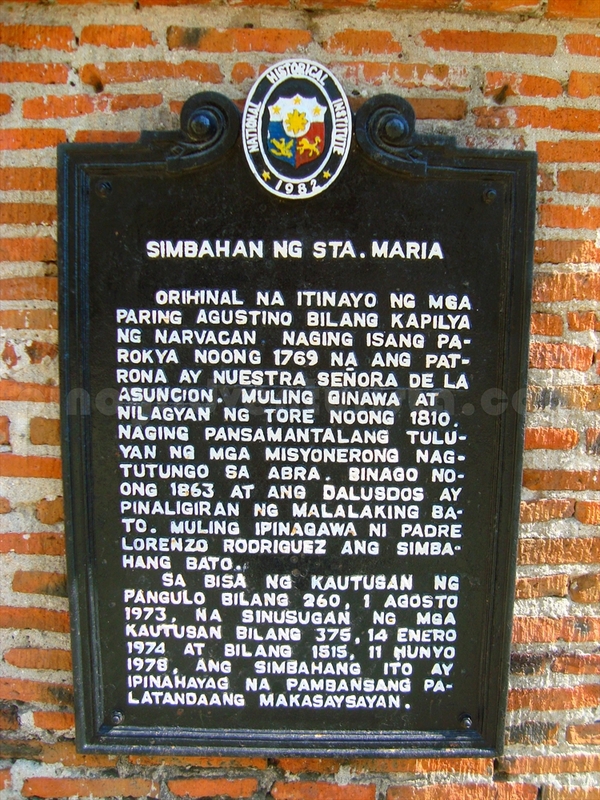 Also known as Santa Maria Church, Sta. 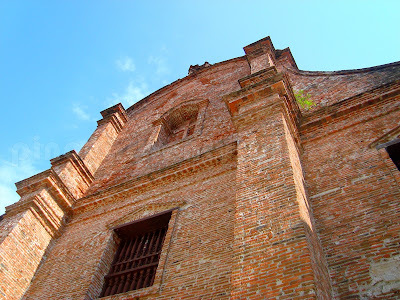 Maria Asunta Church or Simbahan iti Asunta in Ilocano, it was built in 1810 on a narrow hill surrounded by a defensive wall overlooking the town's poblacion (town proper). It's bell tower was built on its left side separated from the church with its convento standing parallel to the facade of the church. 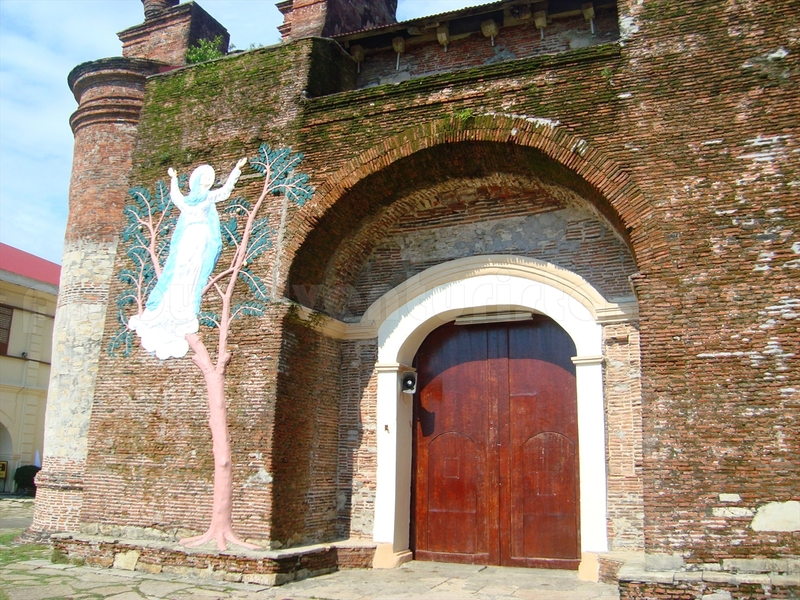 Upon arriving, I was impressed to see a grand staircase leading to the church. 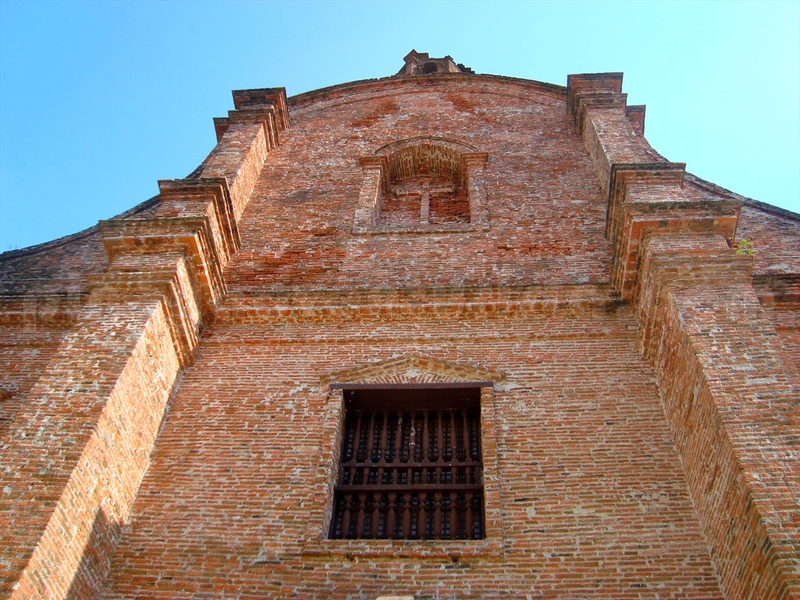 Churches during the Spanish-colonial era were known for their secondary function as a defense fortress, the Santa Maria Church is one good example of it. 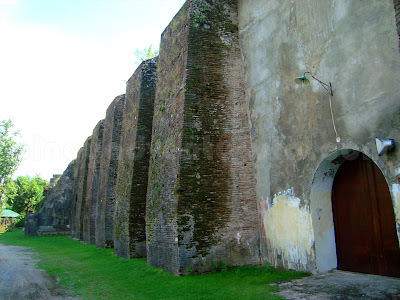 The baked clay and stone bricks defense wall and its hill top location, makes it one excellent example of a fortress church architecture in the Philippines. 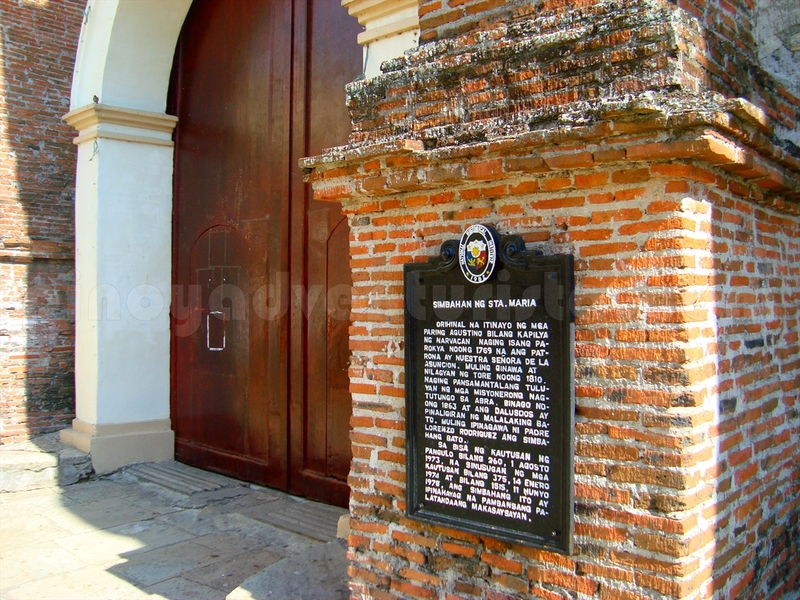 Thus, it was also declared as a National Historical Landmark. 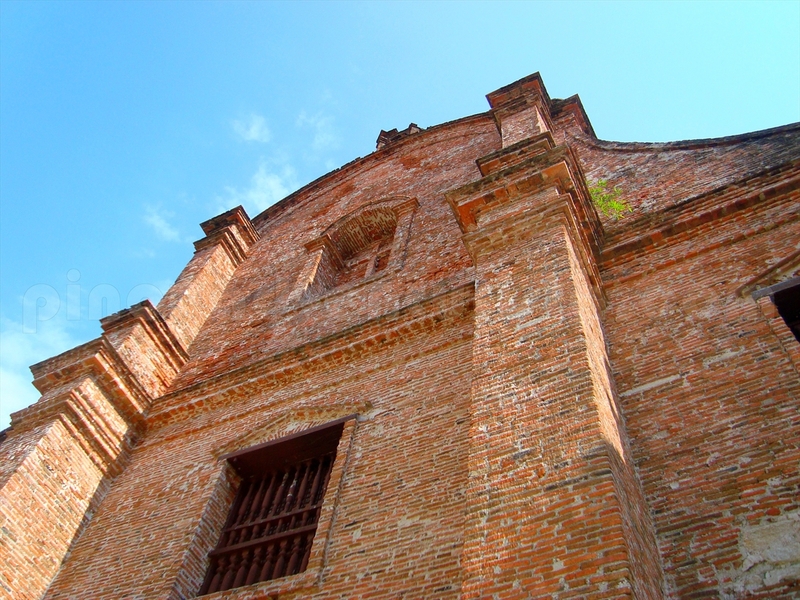 Santa Maria Church's facade is bare, it doesn't have much ornaments compared to other brick churches I've been to before. Its façade is blocked by a bridge linking the church and the convent some few meters in front of it. 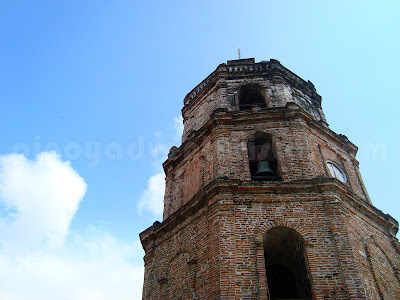 Just like the Paoay Church in Ilocos Norte, it's construction is based on earthquake baroque - with its hexagonal bell tower separated from the church and huge buttresses at the sides which serve as a support structure against earthquakes. We roamed around the church's compound and took photos. 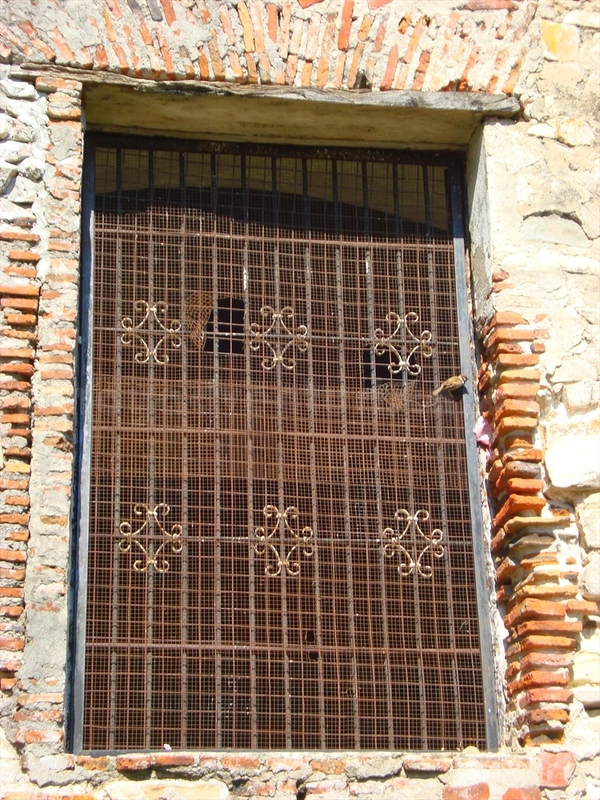 Too bad, we were not able to see the interior as the church was closed at the time of our visit. Maybe next time. 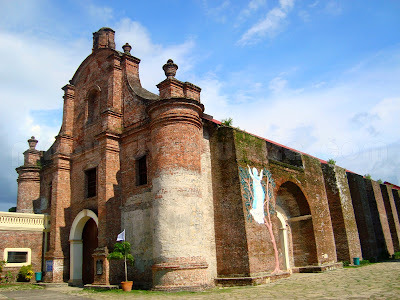 It may not be as stunning as the other UNESCO-inscribed baroque churches in the Philippines; still, the church's baroque architecture, cultural and historical value, makes it a must-see when visiting Ilocos Sur. 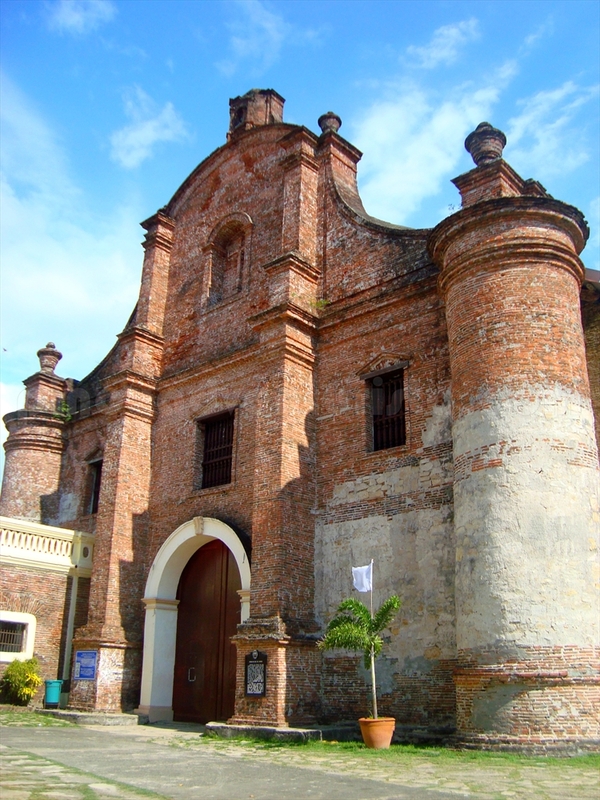 This visit completes my quest to see the four baroque churches in the Philippines inscribed in the UNESCO World Heritage List in 1993. 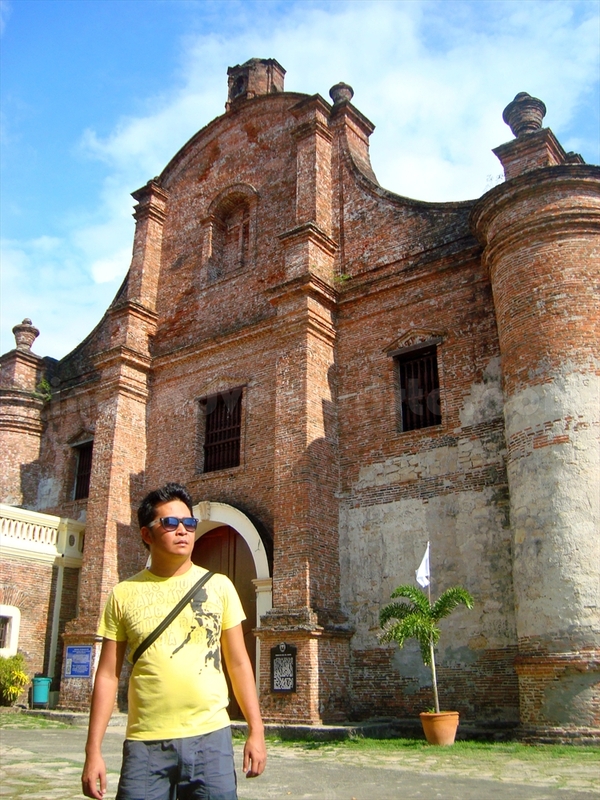 I visited San Agustin Church (Manila) in 2009, Miag-ao Church (Iloilo) in 2010, Paoay Church (Ilocos Norte) in 2011 and now, Sta. 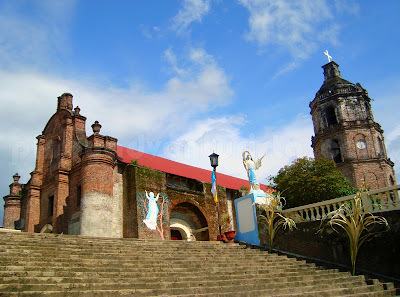 Maria Church (Ilocos Sur) in 2012. 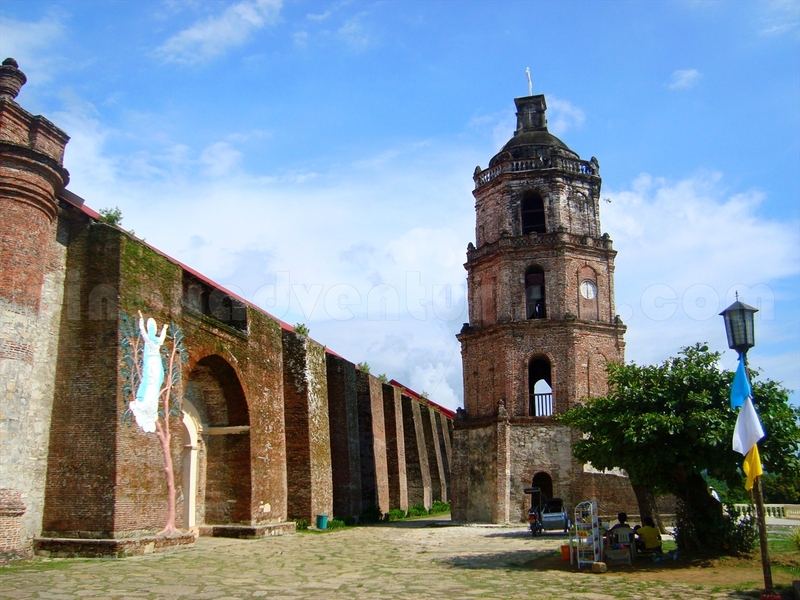 From Manila, take a bus bound for Vigan, Ilocos Sur or Laoag, Ilocos Norte. 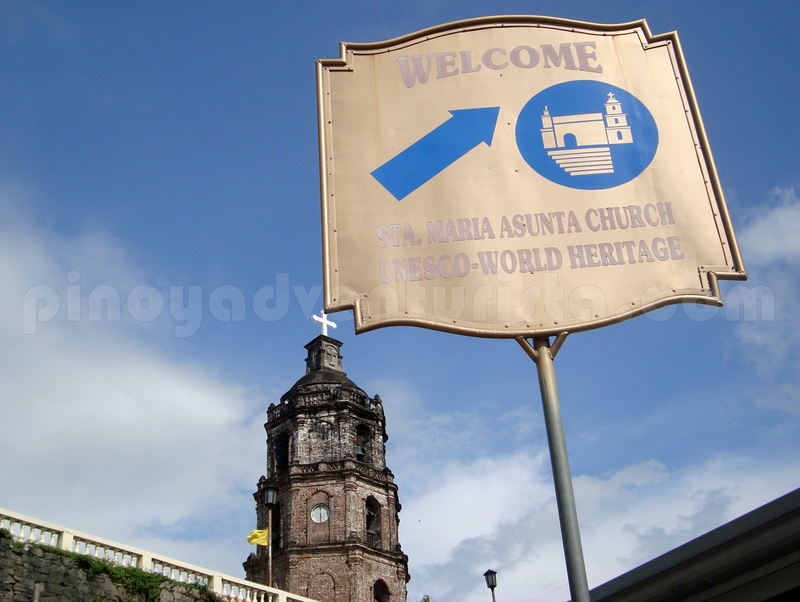 Travel time is about 7 hours, fare is around 400 - 500 pesos. If you're coming from Vigan, take any local ordinary buses bound for different southern towns of Ilocos Sur. Fare is roughly 30-40 pesos, travel time is around 45 minutes. Be sure to ask the bus attendant if it will pass by the church as it is located on interior streets and not on the national hi-way. Thanks for posting this Kuya Mervz. 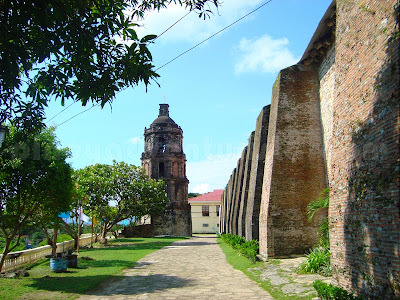 Ilocos Sur needs popular bloggers like you to encourage others to visit sites like this. This church should attain a level of popularity Paoay Church has achieved now. 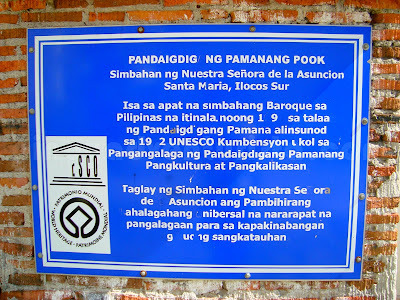 If the provincial government can not promote it, I am counting on my fellow travel bloggers to do the task. Salamat kuya and God Bless! sa apat isa pa lang nakita ko.san agustin.baka nga maganda sa loob kasi it looks plain sa labas o di kaya its historical importance and naglagay sa kanya sa UNESCO list.